We hope you’re having a wonderful start into the Christmas season. We know it can be stressful at times, too, since everyone want to make everything perfect for their loved ones. But we think it’s important to be able to let go and focus only on whats most important to you. For us this is family and friends, health and keeping a mindful connection to ourselves and every living being around us. We also want to say Thank You for supporting our newest WordPress theme Pukeko by giving your feedback and helping us improve the theme further. We are so grateful that we can invest our time into something that helps others to create their own platform online and with it an outlet for their own creativity. 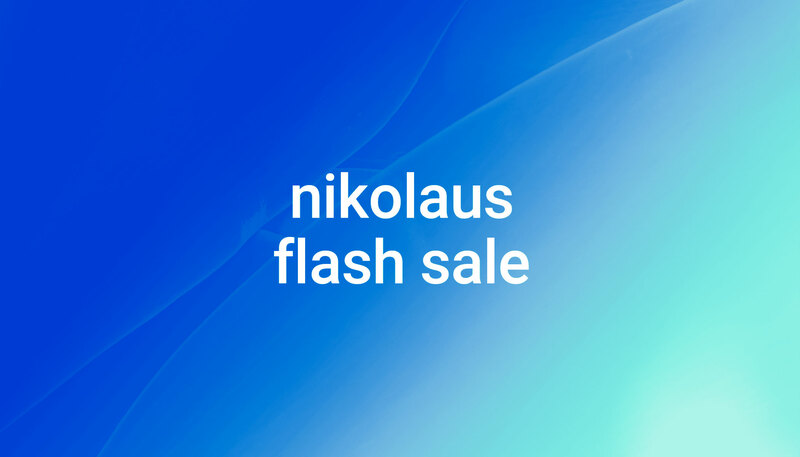 To celebrate the traditional Nikolaus day we are offering a 15% discount for the next 48 hours (Dec 6th and 7th). Just use the discount code “Nikolaus” when purchasing any item here on our Elmastudio website.